state budget cuts to the Community Investment Act (CIA) funding this is the conference you will not want to miss! 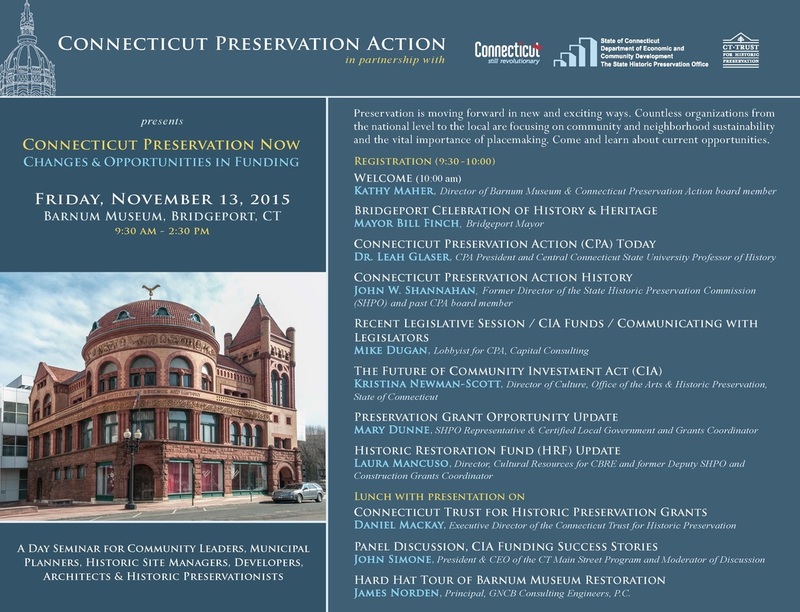 Preservation; a panel talk and success stories from prior funding recipients; and much more! Following an on-site lunch, the afternoon session will include a panel discussion about the future of CIA funding. Moderated by CPA board member, John Simone, President and CEO of the CT Main Street Program, panelists will include CIA fund recipients, Mark McEachern of the Torrington Historical Society; Joe Samolis, from the city of Middletown; Mary Fuller, of the Congregational Church of Plainville; and Delpha Very, Director of Economic and Community Development, town of Putnam, who will discuss their successful use of funds, and any challenges involved. A Q & A will follow. Mary Dunne and Laura Mancuso will be on hand to answer questions about state regulations, eligibility, how to secure funding, and process. At the end of the afternoon session, Structural Engineer, James Norden, of GNCB Consulting Engineers, Inc. in Old Saybrook, will offer a hard-hat walking tour of the restoration and stabilization of the Romanesque Barnum Museum for those interested. Sign up at the admission desk. Please park in the People's United Garage. 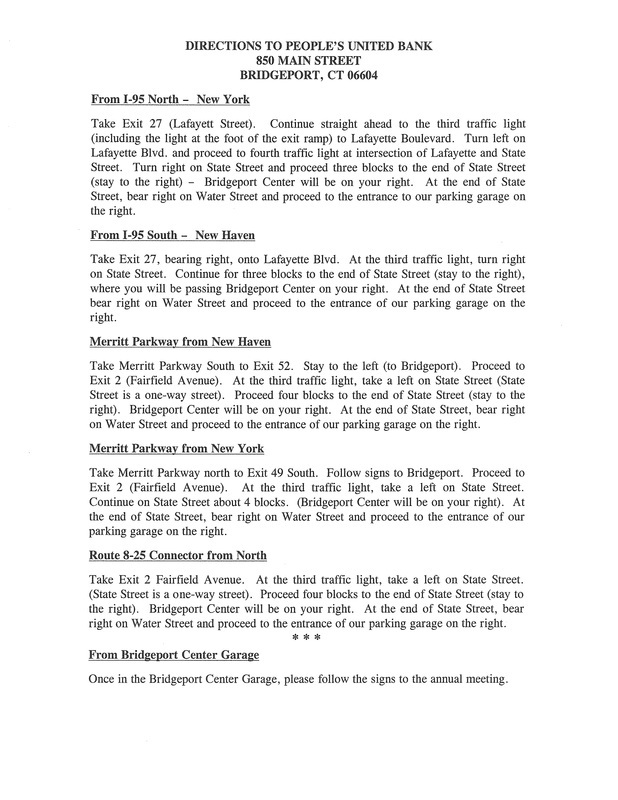 Parking is generously provided FREE on the conference day from People's United Bank.